Violet Circle Publishing Home Page. Small Family run Publisher of adventure and fantasy stories based in Hyde, Cheshire, United Kindom, and new home to Heirs to the Kingdom. We would like to wish every reader who has supported us this year a Very merry Christmas. It has felt like a challenging year as we have dealt with all the issues that surround the current wave of Austerity and the concerns over Brexit in the UK, which makes the support of every reader even more appreciated. So a huge thank you from all of us. May this coming season be happy and peaceful and may you all enter the New Year of 2018 safely and may it bring you all prosperity and greater joy. For over a year behind the scenes VCP have been looking into a new way of promoting and sharing information on our Authors. This week we have finally put into place the final peices of what will become a new You Tube Channel. It is our hope to use filmed footage of our authors events and interviews to bring a closer connection to the reader. 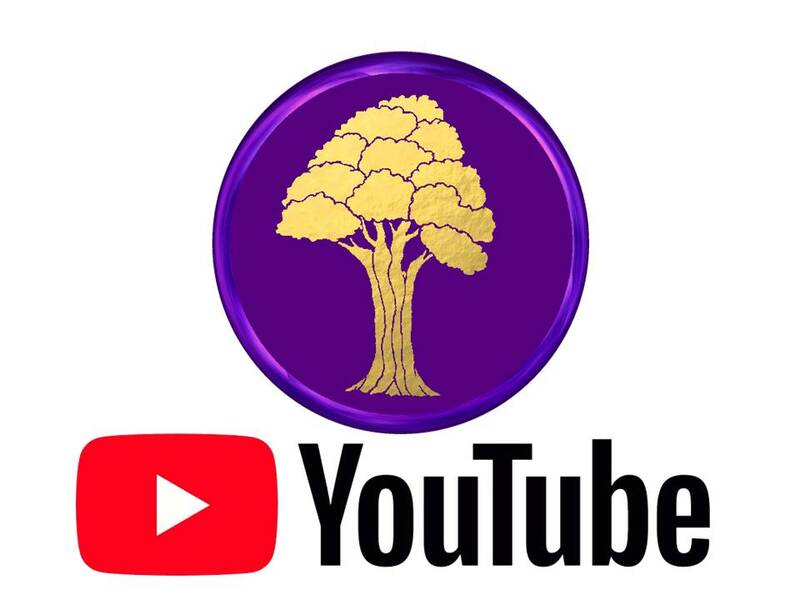 The Channel is live now a features some clips that help introduce some of our Authors and we also have added all the footage from Ted's talk at Burnage Library from back in November this year. VCP made a visit to Burnage library on November 7th 2017 to support our Author and Poet Ted Morgan. This was a very special event for Ted, as Burnage is the place he was born, and spent the early part of his childhood. Ted gave a talk to the assembled group of his life as a small boy during World War two, and painted a fascinating picture of life as it was back then. For many elderly members of the audience, he helped fill in a few gaps of local history and reminded them of many of the moments from their own life, it was well received by all and a truly was an inspirational couple of hours. The event was filmed by VCP and we will be posting the footage soon. We are delighted to add a second Poetry Book to our lists, from Wordsmith's Author Ted Morgan. His second book of verse is a slightly larger and filled with equally as many heart touching and humorous Poems all based on his observations of the past and today's modern life. The book which is in a paper back form retails for just £7.99 (publisher Price £6.99) and we are sure it will be as big a hit as his first if not bigger. Well done Ted and good luck. Heirs to the Kingdom New Title Release. Book Seven in the series of Fantasy Adventure Stories Heirs to the Kingdom by Robin John Morgan is now available to purchase. The series which is an eight book series proves to be yet another thrilling and gripping installment as it drives towards its conclusion and we can assure you it will leave you breathless by the end of it. We are delighted to announce that we will be publishing new Author and Playwright, Colin Smith, with his debut book of his hilarious and highly popular play, Heaven Knows I'm Miserable Now. This is a very funny black comedy about one man's journey into the afterlife, and the reality of what comes next, especially when you have three ex wives waiting to meet you. It has been a fun few months working on this project with Colin and we wish him every success for his future as a published Author. We would like to introduce a new member of the VCP house who is going to produce their first book with us. Colin Smith will coming on board to open our literature/Theatre productions section of VCP with the publication of one of his stage productions. This is a very exciting project for us and more detailed news will follow shortly. For those of you who were left in suspense last autumn, we are delighted to inform you that Robin John Morgan has almost finished the final edit of his HTTK series latest installment and it should be hitting the shelves for Summer 2016 (earlier than expected) From what we know the book has been billed as Desperate, gripping and heartbreaking and he has commented that it will twist in such a way that none of the readers will expect. We are just waiting for the final manuscript and then it will be in production. As always watch this space for more up to date news. World Book Day 2016 Competition. We were delighted to have the chance to work with local Leigh Primary School, Tameside, Manchester, this year and set a special competition for World Book Day. New Heirs to the Kingdom Release. The next installment of Heirs to the Kingdom By Robin John Morgan will be released on October 31st 2015. The book entitled Last arrow of the Woodland Realm ISBN 978-1-910299-07-4 is the sixth book in the series, and Robin has commented that he thinks this is his best book yet. Described as tense and thrilling with more humor at times than normal, Robin also commented that there are a few shocks that may give the fans quite a shake. It will not be long before you can find out for yourselves. This is a beautifully illustrated book that provides a wonderful tale of a Jack Russell named Crumble, and her adventures when she meets Alex, a slightly larger dog who looks a little Teddy Bear like. The book has been formatted to introduce children to their first book of chapters, and it is suitable for children above the age of six. It is also a really wonderful book for Parents to read to their children, something we highly recommend. June 1st 2015 : Coming Soon to VCP: New Author for Children's Adventure Fantasy. We are delighted to announce that after a month of talks we will be adding First Time Author Mike Beale, to our books and producing his Fantasy Adventure book for Children, "Crumble's Adventures." Work should begin on the formatting and editing shortly with hope for an early to Mid -Summer release. More news will follow as we begin work. Mike marks our third Author to date and we are delighted to work with him and add to our growing list of published books for VCP. Today February 28th 2015 we are delighted to release Crystals of the Mirrored waters, the fifth in the Heirs to the Kingdom series of books by Robin John Morgan. The book issued to day on Worldwide release will shortly start to appear on all sales sites across the internet and is available to order from Bookshops. We have already had a great response from HTTK fans who have waited to discover what is in store for their heros Robbie and Runestone. Author Robin John Morgan has given little away, except to say that there is a new realm not visited before, a very evil enemy to match the skills of the Specialists and Morgan reveals she has had an assistant helping her in her dark castle.he also confirmed that the book would show some flash backs to the past to help in the understanding of what has been before, which links in nicely with the Christmas theme run recently on the HTTK website of the Past/present and future of HTTK. Heirs to the Kingdom Book Five: Crystals of the Mirrored Waters is in production. The fifth book in this epic adventure fantasy is with us and we are in the process of formatting the interiors before fixing the final cover. The book is planned for a February/March release, as Robin has wanted to catch up with the books available having had several set backs over the last two years. He has commented that the start of the book will fit very nicely with his theme of Look Back to the past, in order to understand the future, which is theme he has worked throughout the promotion of the recent Yule 2014 event he did on his own web site www.heirstothekingdom.com over last December. We are pleased to announce the upcoming release of our 5th book for this year. It is a little something different for VCP as it is not a sci fi fantasy based book, but is in fact a book of poetry. Ted Morgan has been an integral part of the support we have received since we started back in 2009, and this release is our way of saying a big thanks to him for all he has done to help promote and support us. Wordsmith Wanderings is a small book featuring 53 of his very special and thought provoking poems that cover a very wide spectrum of life in the past and today. The book is currently in production and due for release later this month (Oct 2014). We are currently working on a new project with another Author to create something a little special. It is a one off project which is very different from the normal limits we have set for VCP. More news will follow in the next few months. The first three revised editions and the new first edition of book four in the Heirs To The Kingdom series by Robin John Morgan are now finding their way into the distribution channels as they appear on all online book sales sites. We are currently working on a new and improved format of our page on the HTTK website, to add a sales page here for Robin's books which should be uploaded and added very soon. We are thrilled to release the following books in the Heirs To The Kingdom series by Robin John Morgan. Heirs to the Kingdom Book One: The Bowman of Loxley. ISBN 978-1-910299-01-12(Revised 2nd Edition) May 31st. Heirs to the Kingdom Book Two: The Lost Sword of Carnac. ISBN 978-1-910299-01-2 (Revised 2nd Edition) May 31st. Heirs to the Kingdom Book Three: The Darkness of Dunnottar. ISBN 978-1-910299-02-9 (Revised 2nd Edition) May 31st. These titles will replace the previous first editions which are now out of print. We have completely reformatted the books working with Author Robin and they will be available from June 1st with new covers and a few additions, although the story will remain exactly the same as the first editions, we feel the books flow and read much smoother than previous. The new first edition of book four will follow shortly after the revised editions. Heirs to the Kingdom Book Four: Queen of the Violet Isle. ISBN 978-1910299-03-6. (new Release) June 6th 2014. Welcome to the new web site and the re-launch of Violet Circle Publishing. We had a few kinks and hills to climb on our route here, but we made it, and we are thrilled to be up and running as the new home of Robin John Morgan's, Heirs to the Kingdom series of books. Robin is the first, of what we hope will be a good stream of new and exciting authors, with some wonderful new stories to thrill and entertain all of you. Our first books, we hope to have hitting the shelves in May this year, as we issue updated and re-formatted new versions of the first three in this wonderful adventure series of books, and publish the fourth in the series to keep all of those followers enthralled.